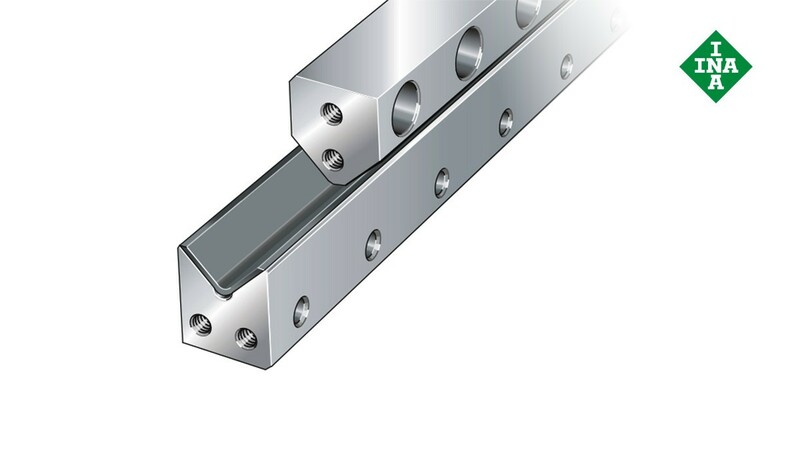 These guides comprise M guideways with a plain sliding layer and V guideways as a mating track. They are used in particular to accommodate static or cyclical loads if no lubrication or only initial lubrication is possible, or if an increased friction level is required for damping reasons. The guides are also suited for oil or grease lubrication and have the same mating dimensions as M-V guideways with a flat cage. The guideways are supplied in quality classes Q6 and Q10.